Government sector CIOs are under mounting pressure to stay up-to-date with an ever-changing security threat landscape. With the rise of hacktivism over the last few years, attacks have been more creative in their approach. The recent growth in government data breaches is proof that common cybersecurity measures are becoming increasingly ineffective against modern cyber-attacks. Back in 2016, the U.S. presidential election was impacted by substantial cyber threat activity, most notably the public release of emails stolen from the Democratic Party. A subsequent U.S. Government investigation concluded that it was an attempt by Russia to influence the outcome of the election, according to Symantec’s Government Cyber Threat Report, 2017. It was indeed a wakeup call for governments around the world concerning what organized cyber-security attacks could do to affect global politics. Let’s begin by addressing some of the advanced threat protection strategies government organizations should follow to minimize budding risks and vulnerabilities. The outermost layer of physical network security aims to keep attackers away from the data center. But even if the data center isn’t a standalone building, all it takes is one stolen laptop, sabotaged server or lousy thumb drive to expose sensitive information stored in confidential files and folders. As a solution, treating your physical perimeter security to be almost like a ‘firewall’ for your building will keep people from harming the network security. Given the massive amounts of information government agencies store in dedicated File Servers; it likely you’re beholden to compliance mandates such as HIPAA, FISMA, PCI, GLBA, GDPR, SOX, and others. Government agencies must allow comprehensive incident reporting and always be monitoring data details; including sender, recipient, and network evidence for proper analysis, investigation and audit, remediation, and risk assessment. When dealing with an ever-changing security threat landscape; a multi-layered security infrastructure is highly recommended. By relying on multiple, overlapping and mutually supportive defensive system mechanisms, government bodies can vigilantly guard against single-point failures. Adhering to a layered defense system and deploying regularly updated firewalls, gateway antivirus, intrusion detection systems or malware protection systems, places control back in the hands of government IT security officials. 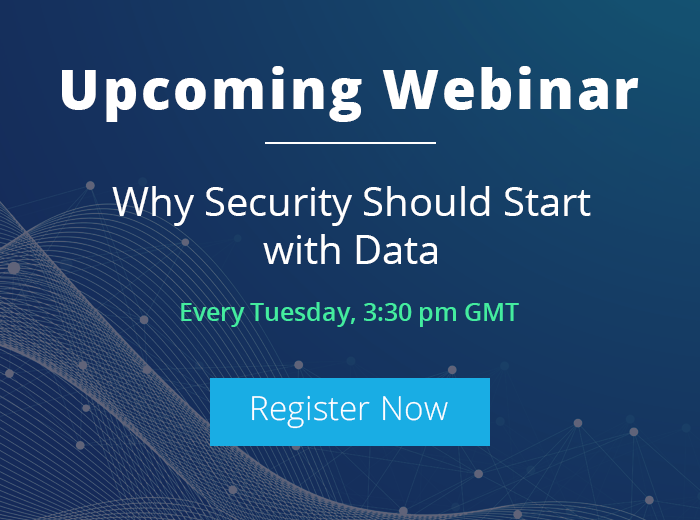 With data spread over numerous areas, attacks may come from any direction—moving both up and down in an organization’s stack and between co-located businesses. Credentials and authentication systems continue to be the most vulnerable points of attack. Most likely, cybercriminals work hard to steal credentials, especially admin credentials because those provide the broadest access to steal sensitive government data and modify permissions. As a solution, limiting decentralization of data exchange makes it simpler for organizations to track and control information within the business. The most recent generations of employees have grown up with openness and information sharing as a cultural norm, and government sector is no exception. Open data involves the release of data to anyone and everyone within the organization. Alternatively, IT departments in government bodies must watch over open data access to ensure the safety and security of confidential data. A recent study reveals that 57% of government entities focus on endpoint protection, while 72% experienced security incidents with human errors and insider misuse as common causes. It’ not surprising that 100% of respondents from the government sector see employees as the biggest threat to security. Government entities have to embrace the new cybersecurity reality both outside and inside the perimeter. When attackers look to infiltrate a network, they are likely to use stolen or default credentials. Simply ensuring strong password policies can eliminate this threat. Also, ensuring that the password length is at least 8-10 characters long and includes a mixture of alphabets and numerals makes them far more difficult to guess. Encouraging government officials to kick habit of keeping a single password for every logon and sharing passwords with others must be implemented. As a proactive IT auditing solution, LepideAuditor is a must have for any government organization. 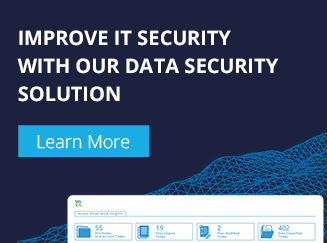 The solution offers detailed insight to help spot network vulnerabilities, help you to maintain a robust IT environment and reduce the risk of data leakage with advanced reporting options. 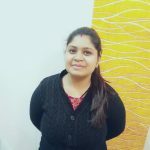 It helps in fixing insider threats and addressing the security concerns of data access, especially the accesses made to open data (shared files and folders). 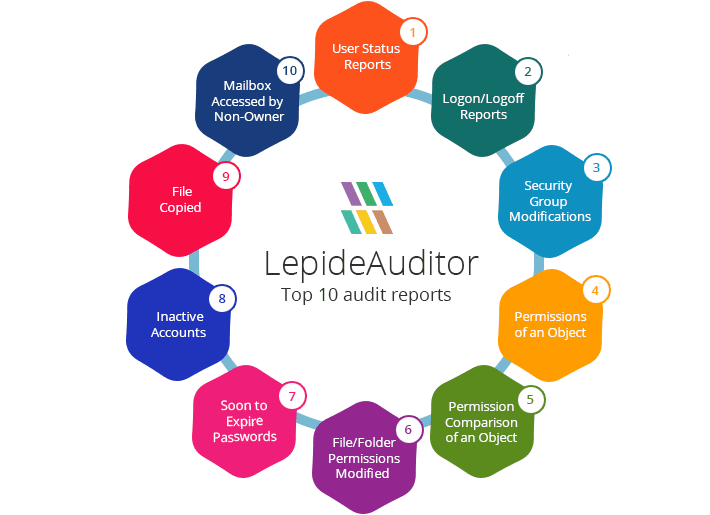 With over 380 predefined reports, LepideAuditor helps you meet complex compliance regulations. Below is an infographic that enlists ten of the most widely looked-for reports for enabling security of critical IT systems. For more details, download trial version of LepideAuditor.